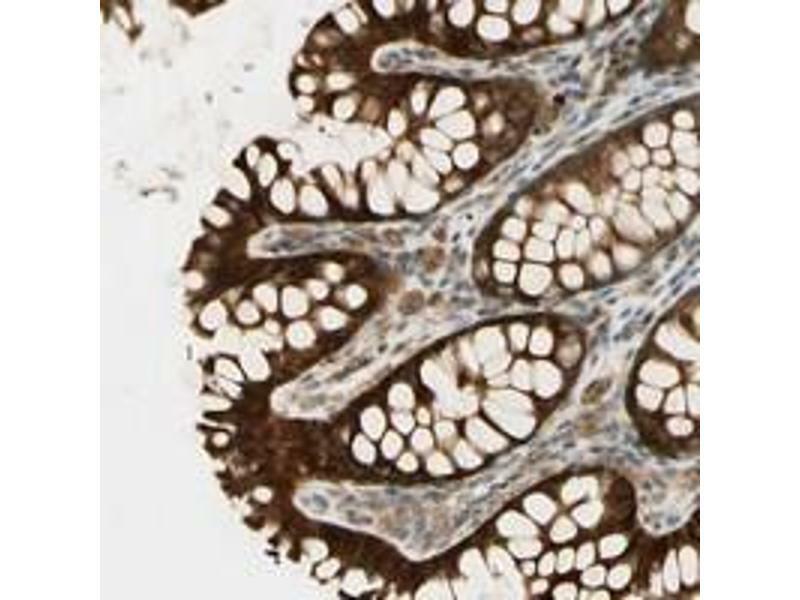 Immunohistochemical staining of human colon with PLXNA1 polyclonal antibody shows strong cytoplasmic positivity in glandular cells. Immunofluorescent staining of human cell line U-2 OS shows positivity in nucleus & cytoplasm. 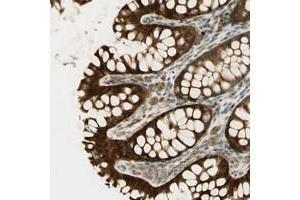 Using PLXNA1 polyclonal antibody . Immunogen Recombinant protein corresponding to amino acids of human PLXNA1.